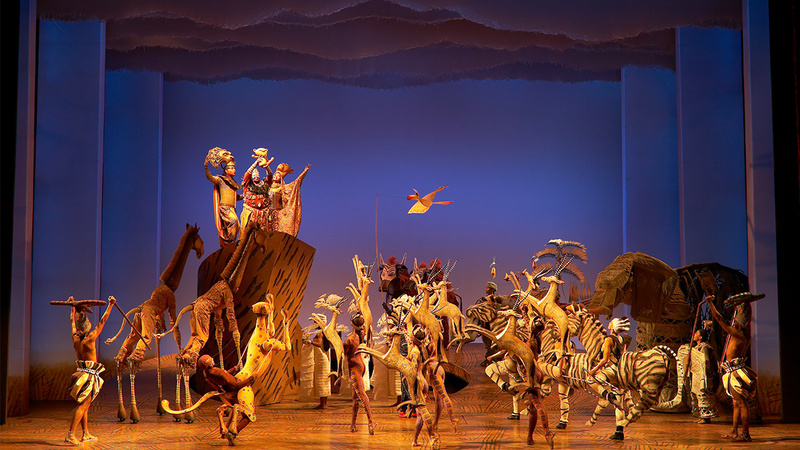 MIDTOWN, Manhattan -- In celebration of the 20th Anniversary of "The Lion King" on Broadway, and to thank the city of New York, the show is giving away every ticket via a free lottery to the evening performance on Wednesday, November 15th at 8:00 p.m.at the Minskoff Theatre. 10am - 6pm Times Square, on the plaza between 45th and 46th Streets. At the Times Square celebration, attendees will be able to enter the ticket lottery as well as participate in a number of THE LION KING-themed activities including a sharable photo opportunity inspired by the show's iconic 'Circle of Life' moment on Pride Rock, autographs with current cast members, and an up-close look at THE LION KING's award-winning masks and puppets. Must be 18 or over to enter. Limit 1 entry per person. Visit www.lionking.com/20 for Official Rules. Void where prohibited. "The Lion King" debuted on Broadway on November 13, 1997. It's based on the 1994 animated Disney movie by the same name.